I went with my BFF and, I have to say, I really had a blast. 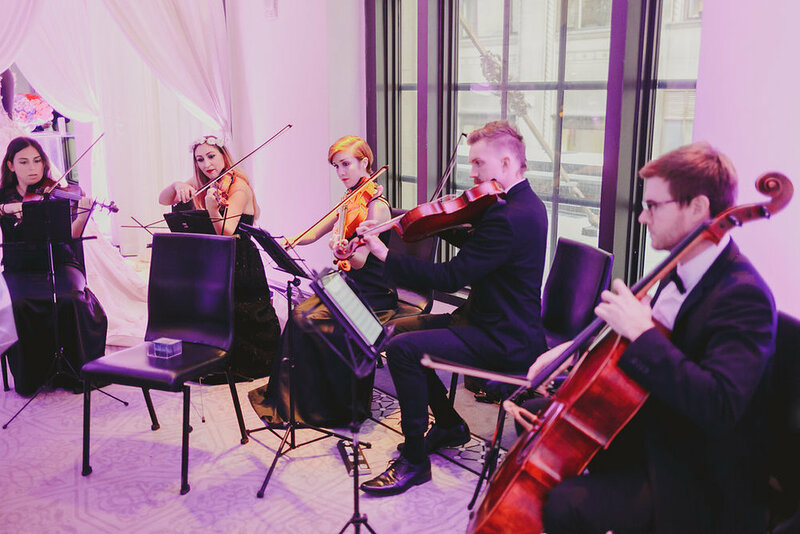 We enjoyed spectacular food, fine wines, cocktail drinks, and desserts, all while a chamber orchestra performed classical music in the background. The décor was incredible with big floral arrangement displays. 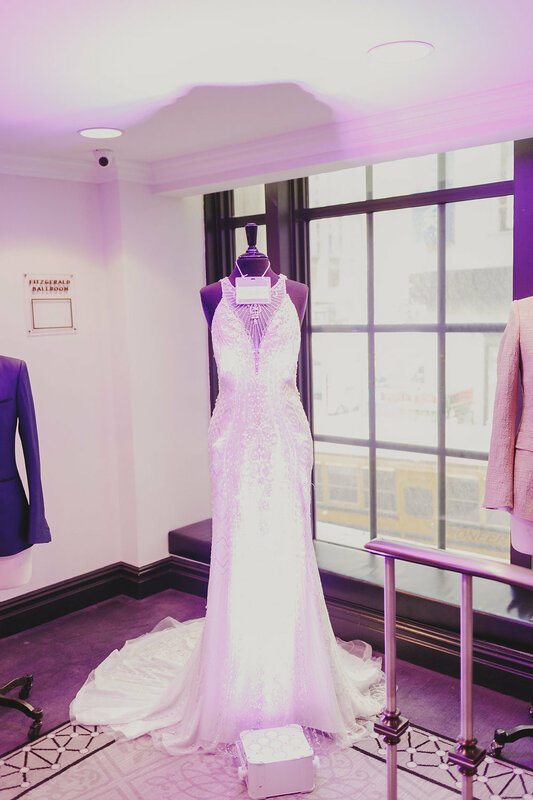 There were wedding dresses and men’s tuxedos all throughout the venue. I was very impressed by the entire event. It was classy, elegant, entertaining, and filled with great vendors and information. 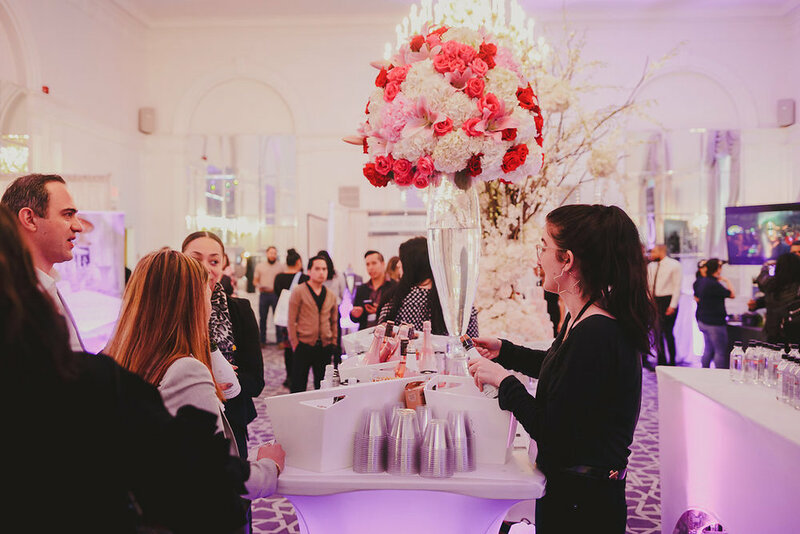 The first thing that stood out, compared to other events I have been to, was all the “big brands” present, including Lancôme, Bloomingdales, Pottery Barn, and Ben and Jerry’s, to name a few. Vendors had a raffle for prizes and I even won one! One company gave me three workout sessions with a personal trainer and nutritionists; a dental care office was giving away free teeth cleanings; and a plastic surgeon offered free lip injections as their giveaway! (I didn’t sign up for the last one but it's still kind of cool if that’s your thing!) Usually, I find smaller, local vendors at bridal expos, which is very cool, but the swag is also less impressive. A company that really stood out for me was called With Thanks. With them, you can get your Thank You cards hand-written by someone else! I didn’t even think that’s possible but I guess in our busy world it’s a thing. I’m not even sure if I was more surprised by it or excited that something like this exists! I am going to do more research on it and let you know what I find. Another interesting discovery was Travelers offering “wedding insurance.” It makes a lot of sense, as they insure you for the total price of your wedding. For example, you can get insured in case the venue goes out of business right before your wedding and you have already paid a big deposit, or if your wedding dress gets damaged in the alterations process, or if your ring gets lost in the mail, or your wedding doesn’t happen because of a natural disaster like a hurricane. I think they even cover you if you decide to split up and not get married at all, which is not what any couple wants to think about while planning their wedding, but you never know what can happen! They charge a one-time rate based on how much you are spending on the entire wedding, and from what I saw at the event. it seems very affordable. For couples getting married in the United States, I think it’s worth looking into, as you never know what life has in store for you. 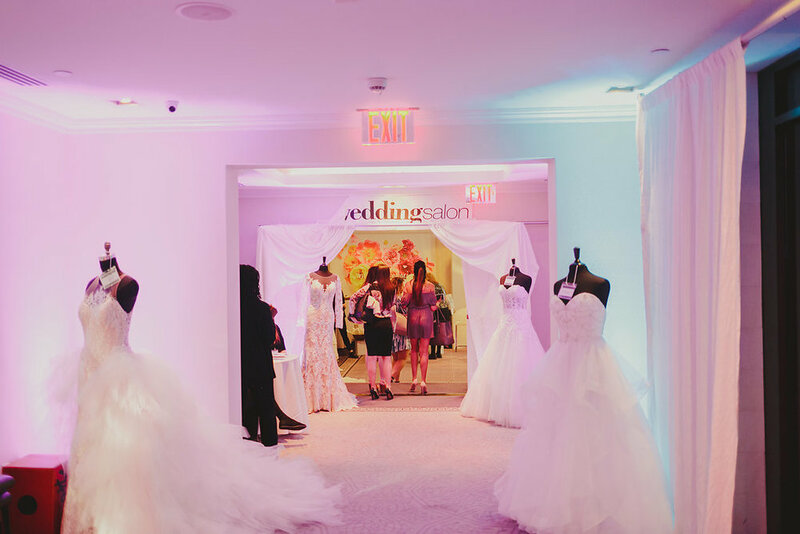 I wholly recommend the Wedding Salon for the modern NYC bride.